Execute confidence with the athleisure design that is appropriate for business casual or weekend play with the Z Zegna™ Sprinter 2.0 Elasticized Slip-On Sneakers. Rubberized leather upper with a perforated design. Elastic bands up through vamp. Signature techmerino leather lining provides temperature regulation and moisture wicking. Lightly padded and perforated fabric insole with embossed logo. Extra light and durable synthetic outsole. Product measurements were taken using size 10.5 UK (US Men's 11.5), width M. Please note that measurements may vary by size. 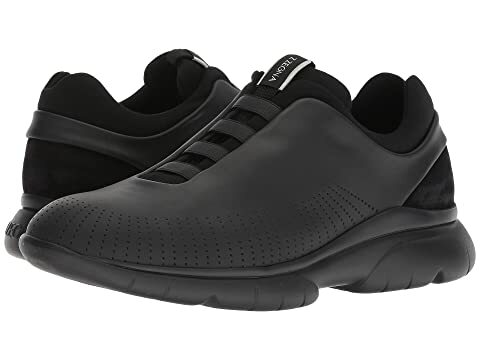 We can't currently find any similar items for the Sprinter 2.0 Elasticized Slip-On Sneaker by Z Zegna. Sorry!